Lyofoam, Lyofoam Dressing, BUY Lyofoam max, 603205. 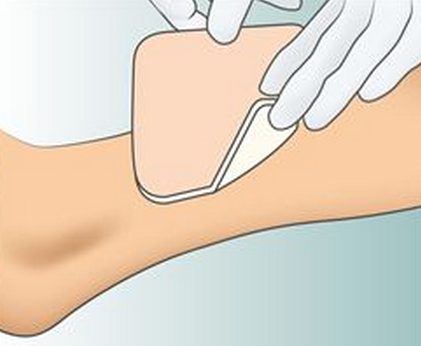 Lyofoam Max, manufactured by Molnlycke, are foam dressings that are designed to shorten healing time and maintaining an optimum wound environment. 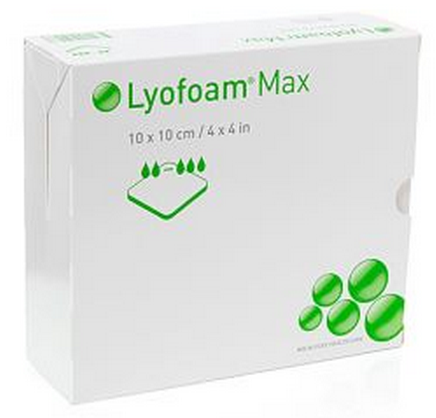 Lyofoam Max is perfect for ulcers, post-op, and wound trauma. 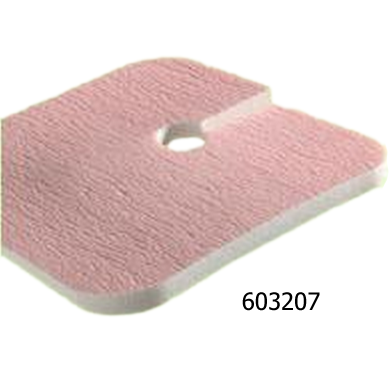 These sterile dressings are used by covering the wound with the smooth, shiny side facing towards the skin. This side of the dressing is designed to prevent tissue from sticking to the dressing as the wound heals. The dressing should exceed the wound opening by two or three centimeters. 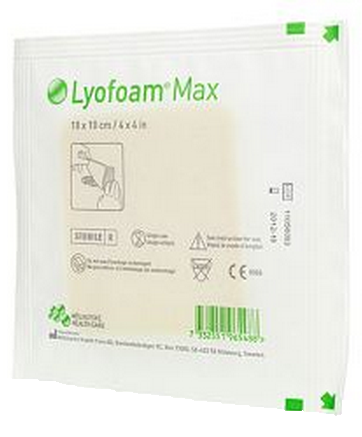 Lyofoam Foam Dressing has a hydrophilic surface, which assists the rapid absorption power of the dressing. This feature reduces wound maceration. 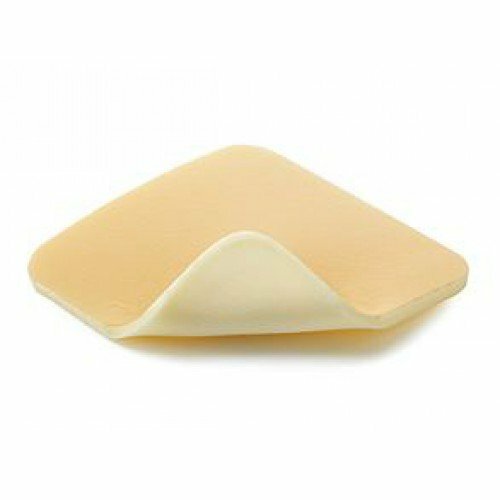 The outer surface of the Lyofoam Max is designed to prevent fluid strike through, making it a more effective bandage for light to moderate exudate. 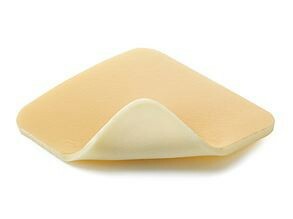 Unlike some other foam dressings, Lyofoam Max can be used under compression. Secure Lyofoam using Tubifast, Tubigrip, or a compression bandage. These are so perfect for a peg tube (feeding tube). The split in the dressing fits nicely under the peg and absorbed any drainage. They are a little pricey, but worth every dime!